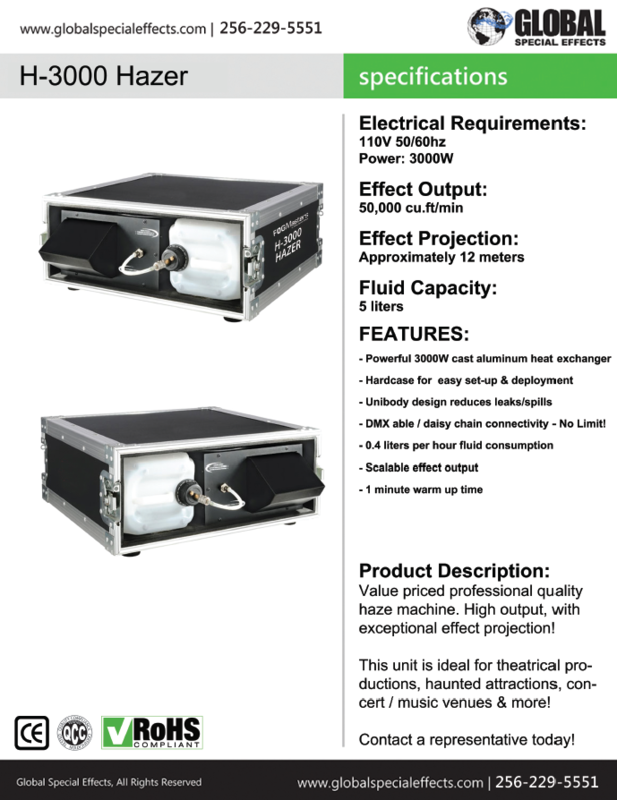 The H-3000 employs a large heater for faster Haze generation. 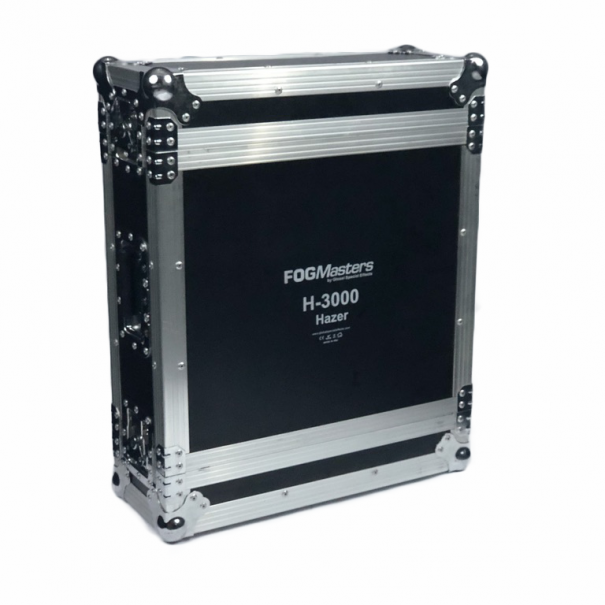 The components are housed in a rugged road case for easy transportation & setup. The fluid tank has a quick disconnect leak proof design. This is truly the choice for professionals. 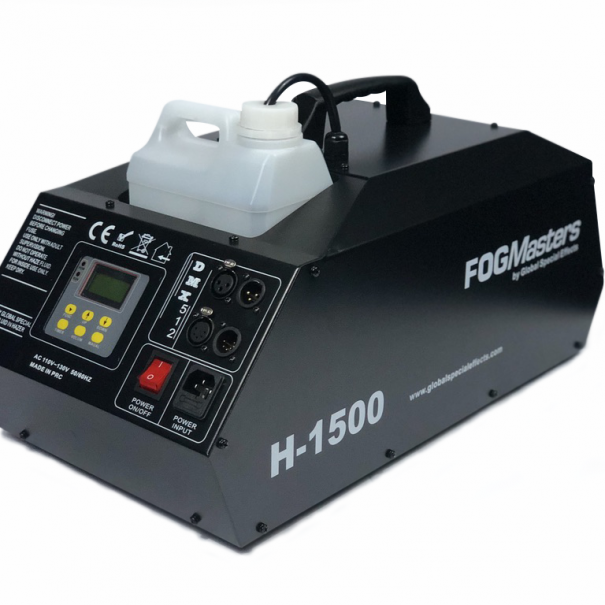 H-1500 Hazer represents a new generation of haze machines. The heat up time is only 1 minute. This represents a new immediate heating technology. The Haze is atomized prior to heating, this allows for even dispersal. 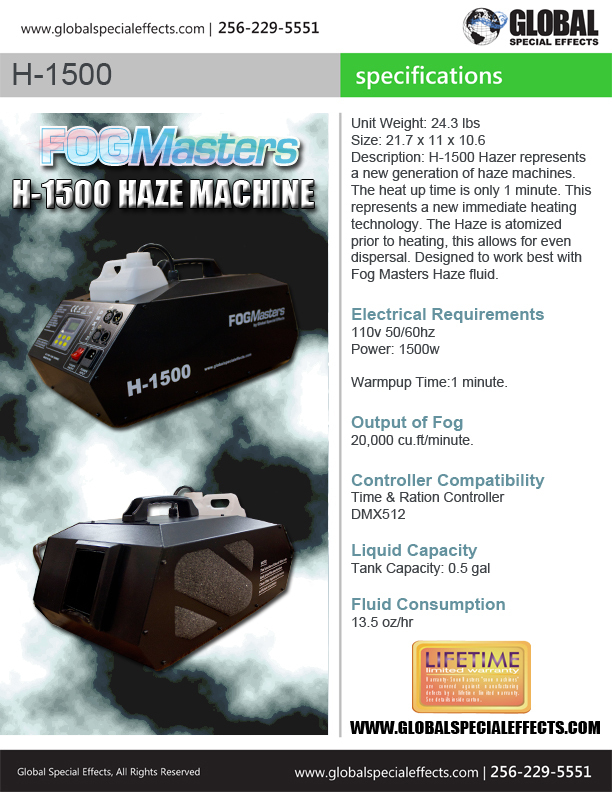 Designed to work best with Fog Masters Haze fluid.